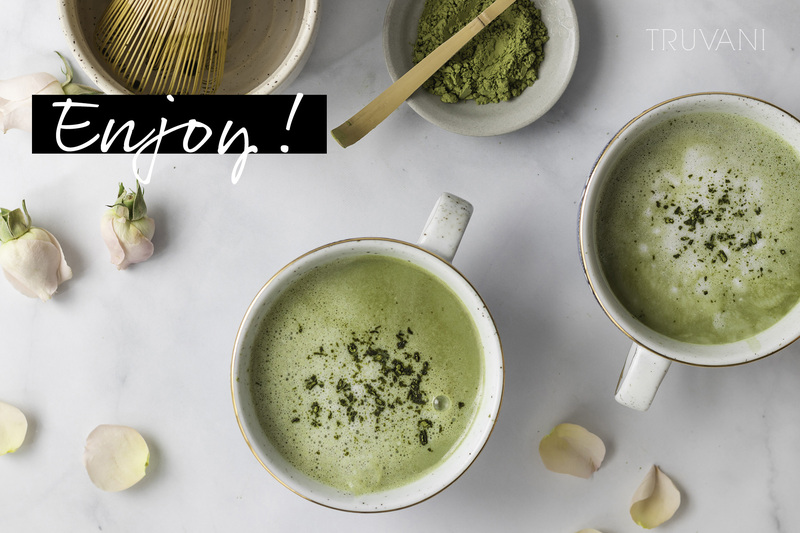 I love matcha powder because it’s a gentler source of caffeine than coffee. 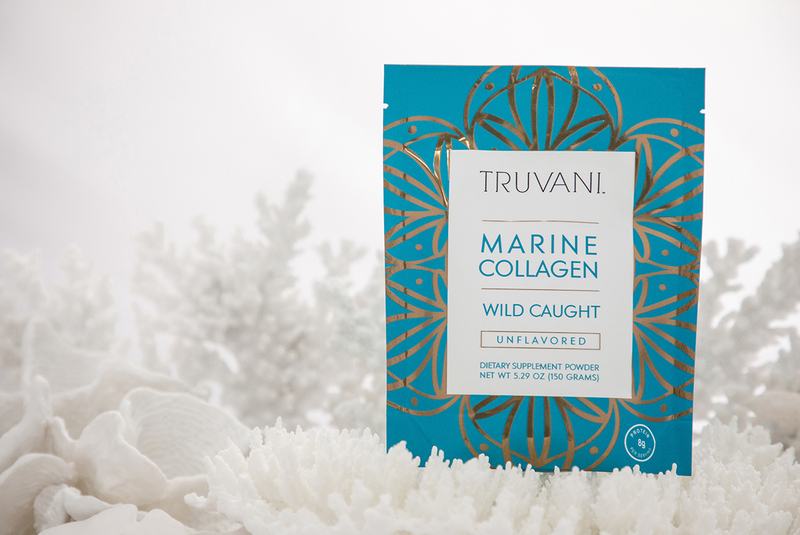 Place the matcha powder, collagen, vanilla and maple syrup in a mug. Add ¼ cup boiling water and whisk to combine. 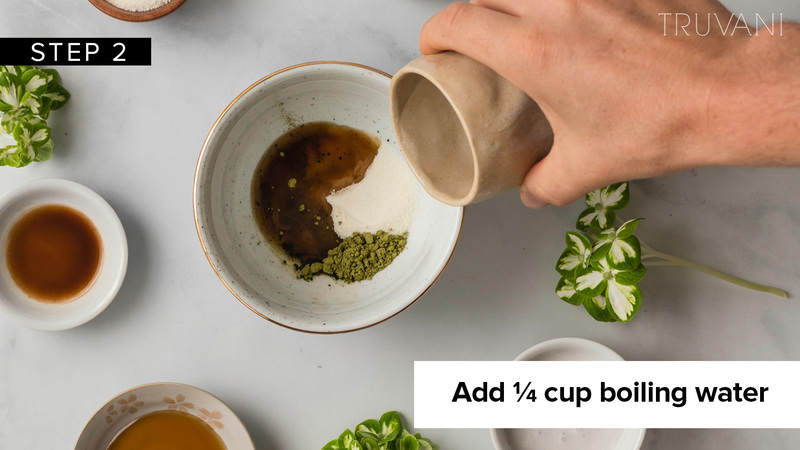 In a small pot, heat the almond or oat milk and coconut milk. 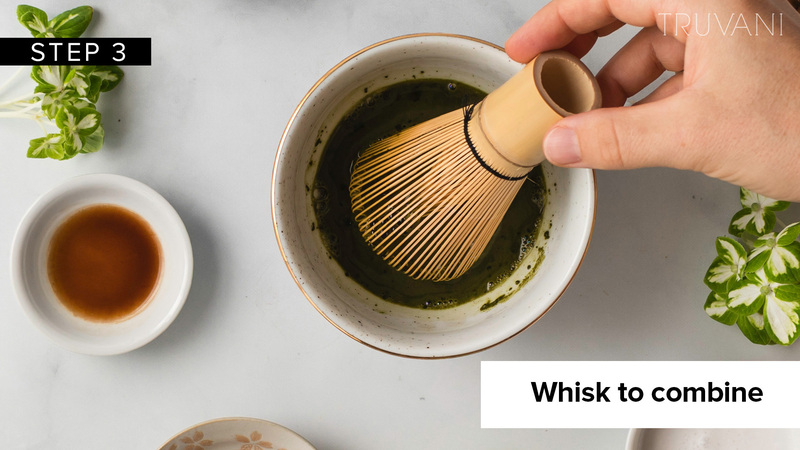 To make the milk more frothy, whisk vigorously while heating. 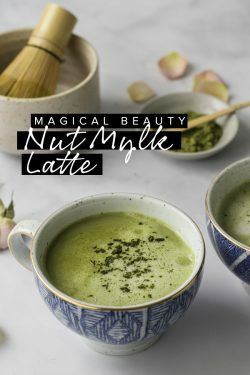 Pour the warmed milks into the mug with the matcha powder. Enjoy! 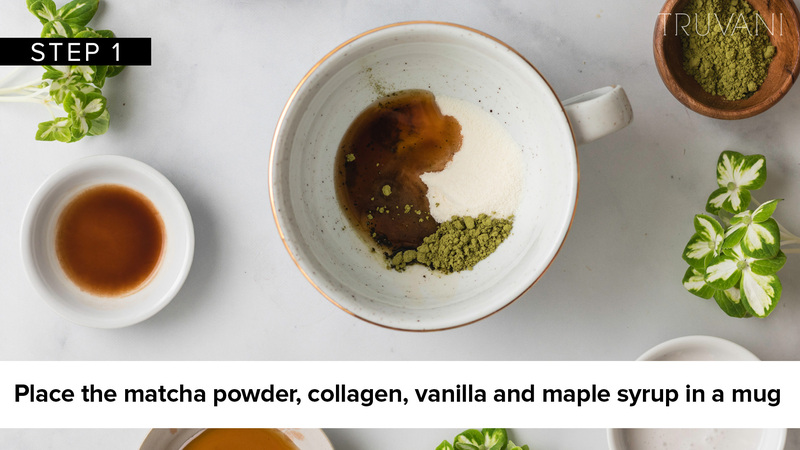 Step 1: Place the matcha powder, collagen, vanilla and maple syrup in a mug. Step 2: Add ¼ cup boiling water. Step 3: Whisk to combine. 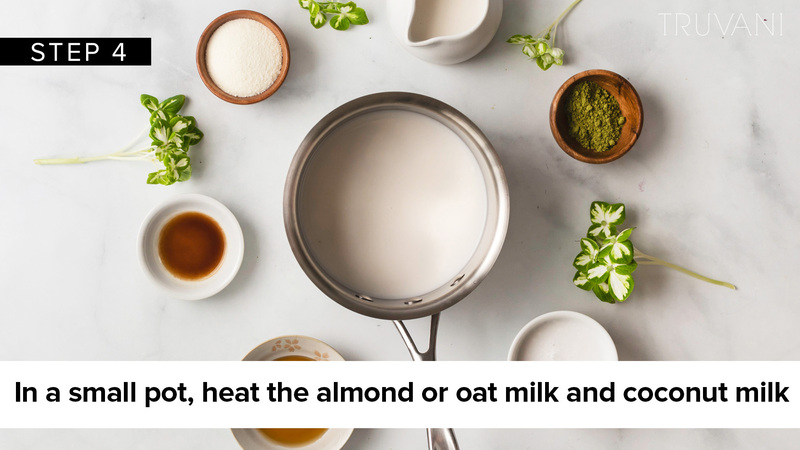 Step 4: In a small pot, heat the almond or oat milk and coconut milk. 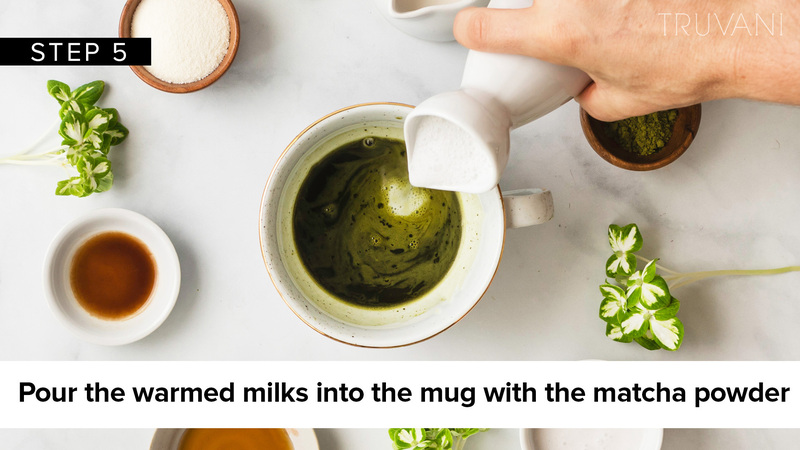 Step 5: Pour the warmed milks into the mug with the matcha powder.